In this week's episode Dave, John and Kyle discuss how HBO “spoiled” Game of Thrones (2:25), how the Internet celebrated April Fools’ Day (8:55) and a robot that looks just like Scarlett Johansson (18:25). 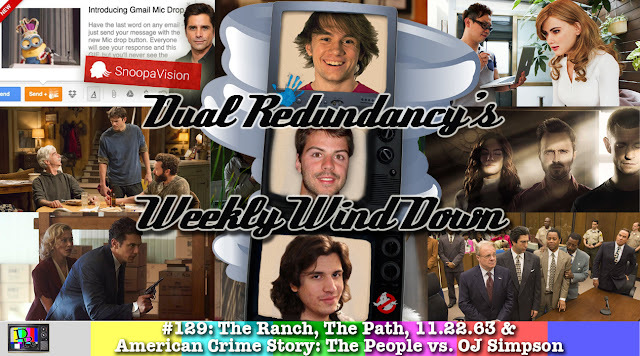 We also review the series premieres of The Ranch (22:30) and The Path (34:40). Finally, we review the finales of 11.22.63 (44:40) and American Crime Story: The People vs. O.J. Simpson (55:55).